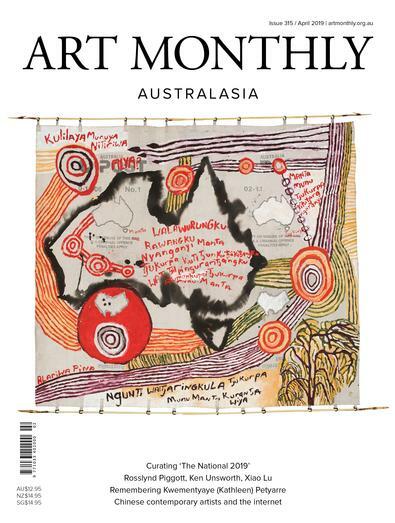 Relaunched in 2016, Art Monthly Australasia is the region's flagship visual arts publication, critically engaging with contemporary and historical practice across 8 editions each year (from March to December), including regular Winter and Summer bumper editions, and a range of special thematic editions with coverage from the best writers and curators across the region with an expanded focus on the Asia-Pacific. While not as slick to look at as some art mags, Art Monthly is always a great read - full of informed and challenging ideas as opposed to hundreds of glossy ads and PR disguised as critique. Art Monthly is a must read for me every month. I eagerly await its arrival in the mail, always something to interest me. This is published 8 times per year, please allow up to 1-2 weeks for your first delivery. Your subscription will begin with the next available issue.